In 2005 the first turf was cut and work began on ‘Course Number 7’ at the Home of Golf, which would eventually become The Castle Course. 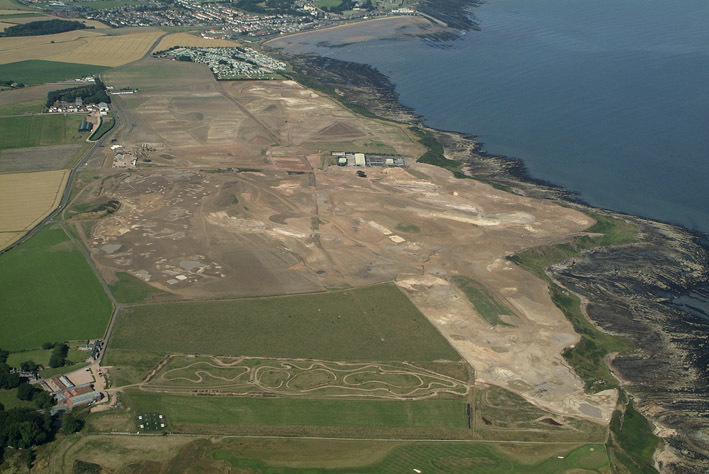 A driving force behind the construction of the course was to ease pressure on the other hugely popular St Andrews Links courses. 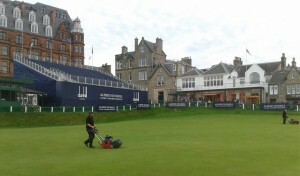 Several contractors worked alongside designer David McLay Kidd and the greenkeeping team during construction. 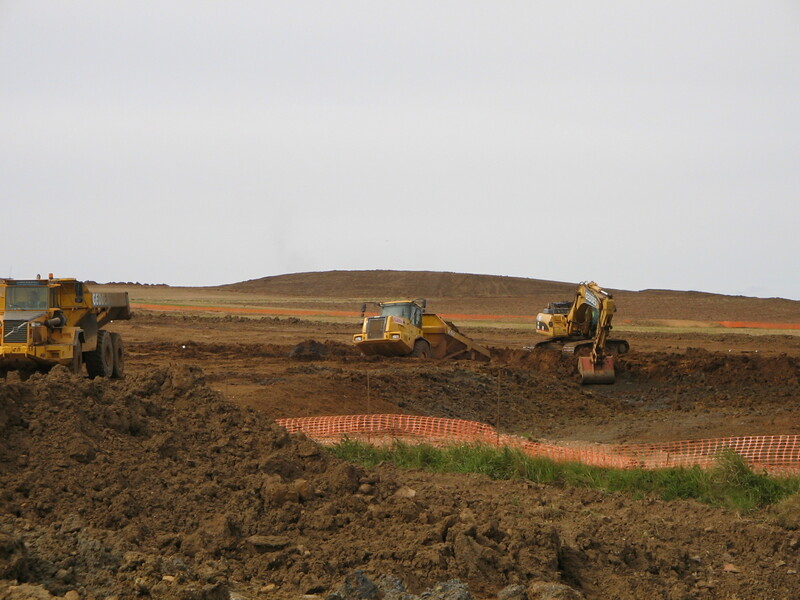 With areas like drainage, irrigation and shaping being addressed, there could be as many as 100 people working on site at any one time. 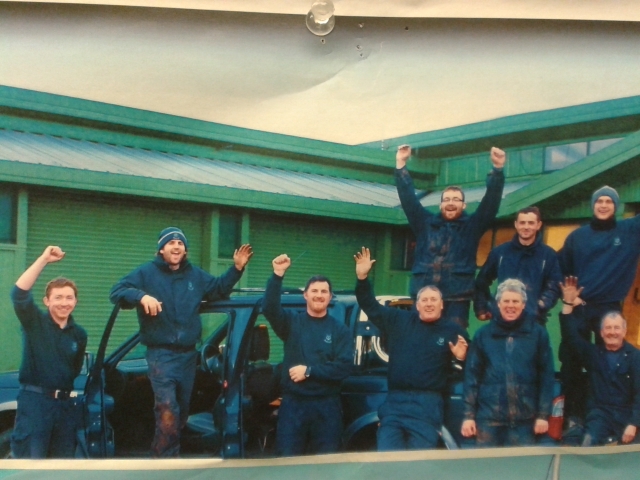 The greenkeeping contingent was made up of Links staff like myself alongside greenkeepers from around the world who came to gain experience in being part of an exciting new construction process. They were led by then Course Manager, Allan Patterson. Once construction was completed, Allan added to the existing group of greenkeepers and built a dedicated greenkeeping team to take the course forward in its evolution to oversee the crucial grow-in period and beyond. The name of the course was chosen to reflect the historic significance of the site, on which the mediaeval Kinkell Castle once stood. 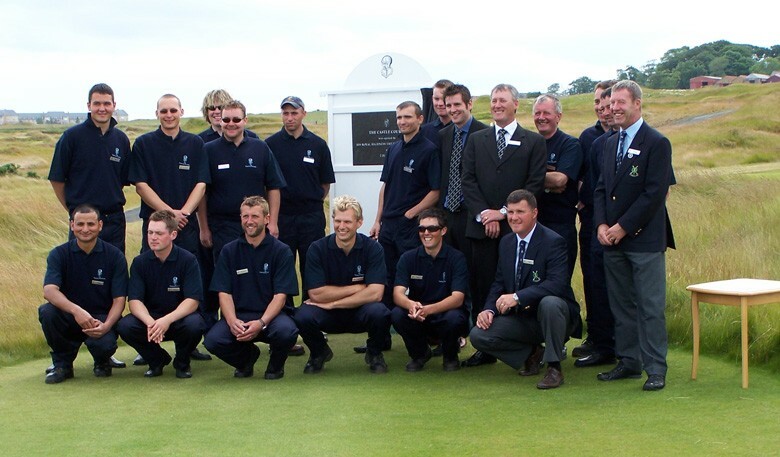 The official opening took place on 2 July 2008 with Prince Andrew, the Duke of York unveiling a plaque at the first tee (header image). 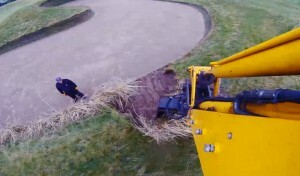 After the first season we were aware that despite having a challenging, exciting and unique golf course there were areas like playability and maintenance that from a greenkeeping point of view, would require some attention. This work has formed the evolution of the course and throughout the years 11 of the 18 green sites have undergone alterations, mounds have been removed or reshaped on various fairways and several bunkers have required reshaping to save the sand from water or wind damage. 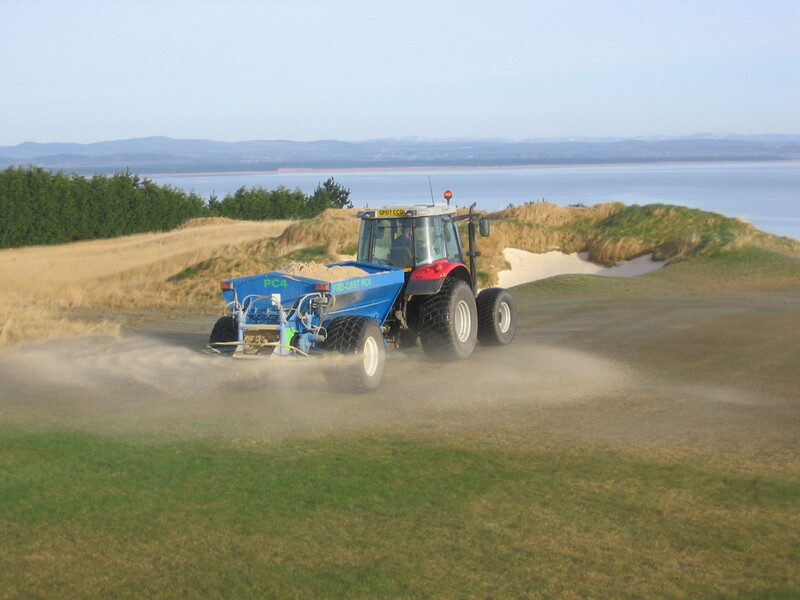 Since the grow-in we have constantly worked on improving the soil structure on the fairways by top-dressing with approximately 10,000 tonnes of sand which helps create a firm surface and assists with drainage. The course is however designed to take a high volume of water and most of this is drained through drain catches which work very well. Since the very beginning we have worked alongside the STRI to ensure the best possible means to deliver a top quality playing surface. We have continually overseeded the greens and fairways to strengthen the grasses. 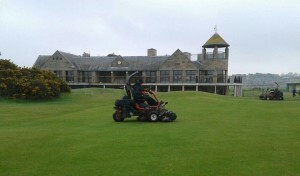 We also closely monitor the amount of fertiliser applied to the turf. The amount of nutrient the plant is fed has been gradually reduced over the years so that the grass is kept lean and yet performs at its peak to create the best surface possible for the golfer. For example, in 2009 the greens were given 145kg of nitrogen compared to 57kg last year. This keeps the playing surfaces lean but healthy. At The Castle we don’t use insecticides and very little herbicides. We work closely with the GEO to prevent waste and to help protect the environment. 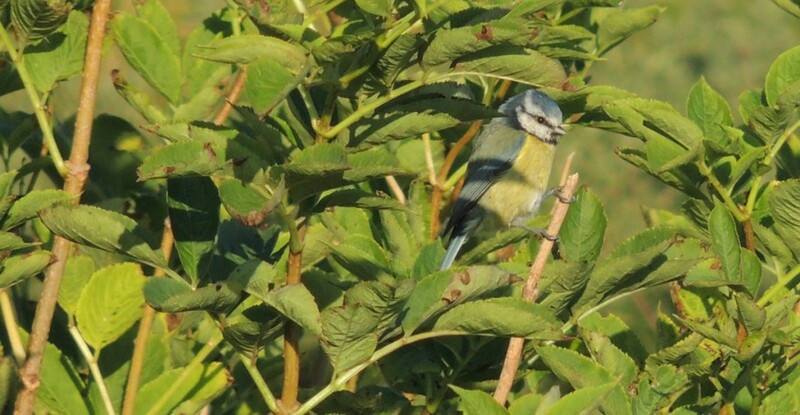 The ecology of the course has evolved greatly over the last decade, creating habitats for a diverse range of wildlife. This was even recognised by the STRI in 2014, which was a great achievement for such a young course. Since work began in 2005 we’ve come a long way and are proud to represent a world class, award-winning golf course, and 25,000 rounds played last year is testament to that. Myself and the greenkeeping team will continue our work on improving the playing surface, presentation and playability, so here’s to the next 10 years!